Try our 5 and 7 course specials from only £8.25! Try our range of family meals. Great value for your favourites. Like us on facebook or follow on twitter for latest news and offers! Welcome to the online home of Nazrul's Sonargow on Villette Road, Sunderland. We are an award-winning takeaway in the City of Sunderland. We opened for business in 1990 and have been serving Sunderland ever since. Our establishment is built on quality and freshness matched by our award winning customer service. Our menu has a variety of entrees to choose from, ranging from traditional favourites such as Tikka Massala and Lamb Rogan to our exclusive specialities such as Nazee Tikka and Tikka Naga. Our menu is lightly seasoned to appeal to all but can be 'spiced up' on request. If any of your favourite dishes are not listed in our menu please do not hesitate to ask, we will cook up whatever you desire. We have earned rave reviews and awards for our efforts to bring you the best from the Indian sub-continent throughout our 20-year-old history, including such esteemed prizes as the MasterChef Gold Award and 4-Star Good Food Guide & Customer Excellence Awards Winner. 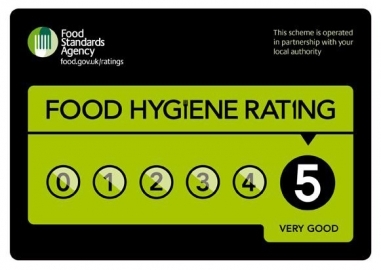 As well as these acclaimed awards we have been recognised for our basic principles, to provide you with fresh food from a clean, hygienic kitchen, and have achieved a 5-star food hygiene rating by Scores on the Doors. We have special banquet meals available every Thursday and Sunday evening, where you can have a 5-course meal or 7-course meal from just £8.25! Why not dine at home tonight and give us a try? Delivery is available at a modest charge. Like us on Facebook or follow us on Twitter for the latest news and offers! Best Dhansak in the world! Massive improvement from my previous order, lots of flavour sauce in currys were not too watery/runny food was hot and delivered on time ???? Waited 1hour and 40mins. Cancelled. Consistently Very Good.....Keep it up!! Copyright 2019 Nazruls Sonargow. All Rights Reserved.